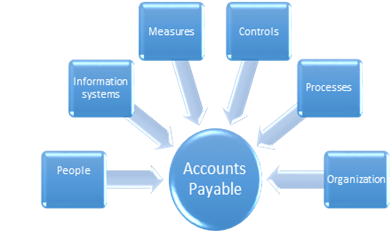 There are many advantages of optimizing your Accounts Payable process. It can increase the effectiveness and efficiency of operations, facilitate reliable financial reporting, and ensure compliance with laws and regulations. An optimized account payable can position you for improved liquidity, mitigate potential funding gaps, and yield higher profits. On the other hand, companies that ignore accounts payable best practices at their peril let it impact felt on the bottom line. It hampers the company from making timely payments, from taking advantage of the available discounts and from negotiating payments with suppliers. What about the accounts payable department in your organization? Does it match the world-class standards? What are the must-have technologies for any AP operation? What design best practices will help you fully leverage those capabilities? How can you balance controls with efficiency and create a fraud-proof department? The preceding questions will be answered in the webinar 'Building a World Class Accounts Payable Operation: P2P, AP'. This article provides Accounts payable best practices for growth, error and fraud prevention. There is no one-size-fits-all solution to optimizing accounts payable. However, the following best practices lead the way. By centralizing your accounts payable processing and reporting function, employees across the enterprise will have common practices and standards. It facilitates the measurement of performance against established business metrics. 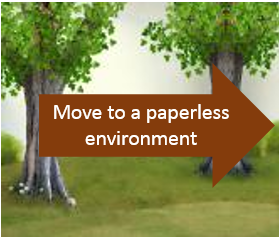 It speeds up tasks with fewer resources, thereby reducing the overall enterprise costs. Centralizing accounts payable and reporting helps in eliminating redundancies, errors, and duplication of work. With a centralized accounts payable and reporting process, everyone in the enterprise looks up to accounts instead of having to do multiple inquiries. The senior management generally understands the importance of the accounts payable function, but generally, in action do not show they recognize it as important. Just because the accounts payable is a backend, don't let it take the back seat. By showing you care about the function, by motivating and by being more involved with accounts payable function, the executive management can show that they truly recognize its importance. Implementing robust governance practices can significantly alleviate manual errors and bolster internal controls around contract review and accounts payable processing. Financial and time costs are significant when there are errors. To ensure that everyone is meeting the standard operating procedures, keep track of vendor terms, clauses, and agreements. While maintaining scorecards of the performance of the vendors, ensure you monitor data about incoming invoices, payments made, services and products received etc. Thereby, you will be in a better position to manage cash flow more efficiently and identify issues with vendors or accounts payable processes. Define the level of management authority required to make purchases of different sizes. This can strengthen the purchase approval process. Good collaboration between the purchasing and accounts payable is crucial. Manually circulating invoices for approval can create processing errors, lost documents, and lost opportunities for early payment discounts. Creating management workflows simplifies transactions, helps in enhancing the efficiency of your accounts payable process. Management workflows help in quickly processing incoming invoices and issuing payments more effectively. It empowers account payable staff to make better decisions in less time. Account Payable automation systems enable electronic communication with vendors and customers. Such automation systems help you take advantage of available discounts and rebates. An eProcurement system lets you communicate with vendors and customers to raise purchase orders (PO) for every new purchase, electronically qualify and accept invoices, approve requests, track inventories, goods received, and make payments in a timely manner. And then there are options available for you to choose the level of functionality based on specific requirements. Some opt for scanning invoices automatically, tracking delivery receipts and resolving disputes electronically instead of manually following up for resolution. Without compromising on the security aspects of the information, ensure that the appropriate persons in your organization have access to information about payment terms, discounts, vendors, payments etc. Track information in real time in a secure manner before they cost your organization money. When you set up a supplier master data, the accounts payable will be helped to determine which suppliers have been approved and ensure that they meet the compliance requirements. Ensure that your supplier master data is diligently scrubbed to examine any flagged or suspect suppliers. This is all the more crucial for larger companies that have hundreds of suppliers. Ensure controls are in place for registration of suppliers to help reduce the risk of fraud. By regularly monitoring the system, you can keep the data accurate and complete. Having inaccurate information on the supplier data can not only waste time but also hamper the smooth payment process to the intended supplier. Hence the importance of a clean supplier management data must never to under-estimated. To follow a consistent and standardized approach, set up a centralized office for the processing of invoices. If there are errors in the invoice, do not proceed with the payments till such time they are corrected. Make timely payments as per the internal SLAs (Service level agreements. Also, include a date stamp. Without compromising on supplier relationship, ensure you don't process the invoice too early. Pay only when they are due. Ensure that different individuals in your account team approve purchases, receive ordered supplies, make payments and handle reconciliation. If possible make payments using credit cards to ensure tracking of payments in one place and to take advantage of rebates and card spend. Ensure you have the W-9 on file for each supplier before processing payments. Make it easy to weed out errors by providing the relevant staff members access to orders, invoices, payments and other data. With more eyes on the process, correcting errors becomes simpler. Provide ongoing education to staff about best practices, about the appropriate use of software program, and account payable systems. Attend the seminar 'Account Payable Best Practices ' to understand the newest best practices and ensure that ensure crooks don't get their hands on money or sensitive information. This is one session you might want to invite your colleagues in accounting, auditing and payroll to so they implement appropriate best practices and are not bamboozled by some of the newest frauds. This course is approved by NASBA (National Association of State Boards of Accountancy). Seminar attendees are eligible for 10 CPE credits upon completion of this workshop.